We designed The Daily to be a balanced and approachable drip coffee, drinkable every day yet complex enough to keep you coming back. The Daily is built around seasonally fresh components, typically coffees from South and Central America, chosen carefully to bring together our favorite attributes in coffee, from brightness to body, sweetness to finish. Currently, The Daily is made up of coffees from Peru and Colombia, and provides everything we look for in a satisfying, drink-every-day blend. This coffee is sourced in part from Cenfrocafe, which stands for Central Fronteriza del Norte de Cafetaleros, an association of more than 3,000 smallholder farmers in the Cajamarca region of Peru. 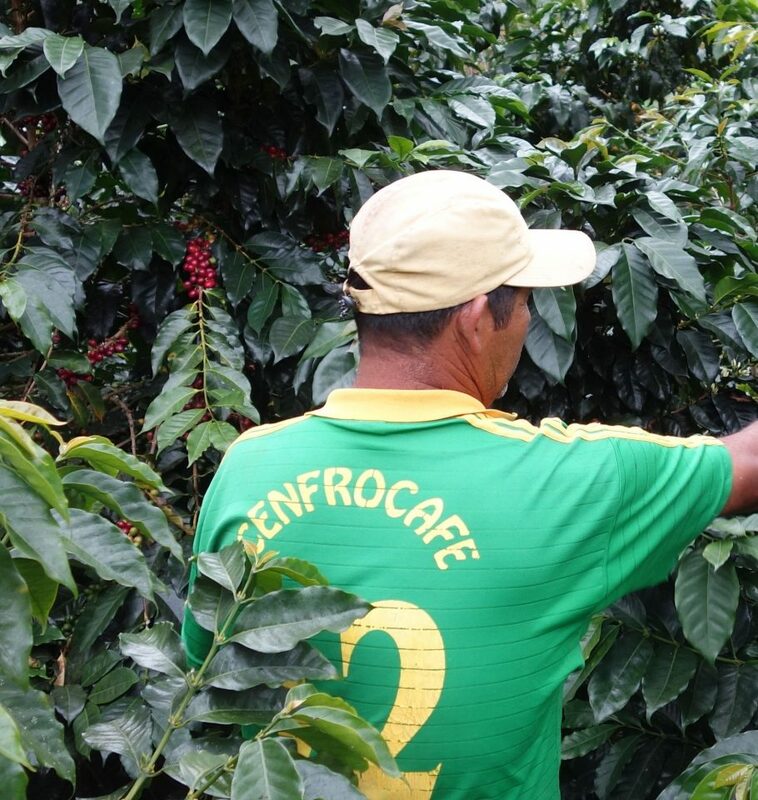 Cenfrocafe works within the communities of the farmers they serve not only to improve farm output quality and teach best practices, but to provide financial assistance and short-term credit to help these farms get a leg up. This selection from Cenfrocafe is a regional blend of coffees grown near the town of Jaén, brought to us by 782 farmers from the Piadosa Santa Rosa de Lima association and the Jesus Segura Silva association. It is a washed coffee which comprises Typica, Caturra, Catuai, and Bourbon varieties, grown between 1,700 and 2,000 meters above sea level. Its partner from Colombia is a sweet, clean coffee sourced from different purchasing stations throughout Southern Huila. It is a combination of coffees from emerging farms with whom our supply chain partner, Caravela, has begun developing working relationships. The producers involved are at the beginning of a journey to improve their agronomy, quality, and processing through Caravela’s technical consultation and guidance. This partnership provides many of these farmers a foot in the door towards the elevated level of specialty quality they wish to produce, while allowing coffee roasters an approachable price for a delicious, straightforward Colombian coffee with full traceability. It includes coffees grown at elevations of 1,300–1,800 meters above sea level, primarily made up of Caturra and Colombia varieties harvested year-round.